She could get out at any Truck Stop, call the Non Emergency Police number for that area and they will help her get home. She would be considered Homeless and since there is a shortage of homeless beds/ shelters they will most likely give her a bus ticket home or hook her up with an organization that will help her. USE IT when you see a POSSIBLY underage and TRAFFICKED young girl (or boy) at a truck stop. I worked with teenage girls who were victims of Human Trafficking for years. I can assure you that 99% of these girls do not choose to sell their bodies to strange men for sometimes 30 times a day and then hand over every dime to an abusive pimp. Most of the adult “Lot Lizzards” have been being trafficked since they were in their young teens and are still being forced. There is most likely a pimp somewhere watching her every move and keeping track of how much money she had better come back with or else. These women, and yes sometimes Men and Boys, are trapped in this lifestyle and are usually what is termed as “throwaway kids” from within the Foster Care System. They don’t usually have a family who they can turn to for help and eventually feel that the Pimp is the best they are gonna get as far as stability goes in life. They end up with Stockholm Syndrome which is why they stay in The Life for so long before they get the chance or the courage to get away from it. So Yes, Please Please Please call the Hotline if you see anyone who seems underage or if you feel they are being forced to do this even if they are over 18, which they will all claim to be if asked. Follow your gut and call, only takes a few minutes and can be anonymous. I used to live on the ridge top of a mountain a mile high in elevation and some of the tricks we used when things would freeze over, which it did often in winter. Keep a pray bottle with 3 parts vinegar/ 1 part water in it, spray outside of windshield and windows and it will keep then from getting a layer of ice on them overnight. Wipe windshield wiper blades with alcohol wipes, it will keep them from sticking to the window. Keep a small bottle of hand sanitizer in a spray bottle. If door and locks freeze spray sanitizer in it to unfreeze. Keep a small bag of kitty litter, if stuck on ice throw some under the tires to give traction to get rolling. It will save you from having to ruin your car mats. Spray Cooking Spray along the rubber and the cracks of your doors to keep them from freezing shut overnight. Rub headlights with toothpaste and rinse with warm water, keeps headlights clear in cold weather. Rub in car wax after to keep snow and ice from sticking to the lights. Good news, hubby got off the truck last night and will be speaking with Fleet Manager today to get a new trainer. Night dispatch manager was very cool about it. I want to Thank those who gave good advice and were a positive help. Some apparently think I am the crazy spouse at home. I can assure you I am not, I am currently getting my CDL to join hubby and know I will also have to go through this training process. Let me just set a few things straight and fill in a few gaps. He DID call and spoke to Dispatch last Saturday and informed them of the conditions and they told him with the holiday they would not be able to get him on another truck. He then called his Fleet Manager on Wednesday and left a detailed message but never got a return call. He knew they were heading to Springfield after picking up the current load so figured he would talk with someone face to face. He is ex military special forces so is not a stupid or weak man. He is smart enough to know that the way this guy was is not the way he should be trained. Can’t train someone if you don’t speak to them from day one right? like I said earlier things were very unsafe and unhealthy. From what I am gathering from being in school and reading on here it’s all about the safety of yourself and others. I’ll let hubby give the details if he chooses. I just posted in hopes others may have had similar situations and how they handled it. He really likes the company and wants to continue on with it. He did great handling things on his own from the start, thank God for YouTube videos. He was able to anticipate what he would need help with and would watch the videos ahead of time but that is not the way it should be. He should be able to have someone he can rely on when he goes out on his own that he could call in a pinch for advice, right? Someone started a conversation on here about the best things they learned from their trainers. Those are all the things I imagine are important for a good trainer to teach. If you can’t teach the basics then don’t be a trainer. So I'll take a guess... he's at Prime and came with his CDL so he needs 40,000 team miles. He has 3 to 4 weeks left. Most likely he came in with unrealistic expectations of training like most students. He's already done a couple of months which means its not an absolute emergency of him not feeling safe or comfortable. As a Prime Team Trainer, I know Prime would swap him out if he requests it. But he needs to understand companies do not know what is going on in the truck unless you tell them. Prime will not see him as a troublemaker or fire him. Now, if he swapped trainers four or five times, then yeah, the problem is with him. I currently have a trainee who does all of the work. He does the trip planning and all the computer and paperwork...because I know how. He is the one who needs to learn it. We now have 15k miles left and i told him i am now in "ghost mode". He needs to figure things out on his own and have me as a safety net. 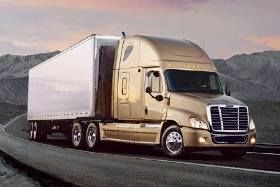 Many companies only offer 7500 miles of training, and so it is not unheard of to expect a new driver to be doing all of the work. I recommend he gets the phone numbers of experienced driverd for when he goes solo. Most people do not understand the REAL training starts when you go solo. I can lecture and explain 200 pages, but it doesnt click until the driver gets into that situation. Once he gets his own truck he can do whatever he wants. Yes he is with Prime and I get how he needs to do things on his own eventually after you show them how to do things, this guy hasn’t shown him anything at all, he doesn’t even talk to him. Hubby has tried to ask questions like “What are some of the most important things you learned from your trainer.” The answer was a ****y “ I’m self taught, no one taught me ****” and that is how this guy is with everything. He is smart and has read a lot and watched a lot of videos so is teaching him self as he goes. He went there right out of school. I don’t think he had an Un realistic expectation at all, our son is a driver so we had an idea of what it would be like. My son is appalled at the stories, like I said way too many to list, and is urging him to get out of the truck and get a new trainer. I understand where you all might think I am pushing this from how I wrote it. He has been telling me since before Christmas he wants out of the truck and has called to request it but the holiday has been an issue. I just thought with him going to the headquarters hub would be the perfect opportunity to get out. Yes he is with a Lease Operator. I know he has lurked on here while looking for the right company to choose so I will urge him to post himself. At first he felt that the guy was testing him as part of the training but things are pretty unsafe and unhealthy. He is stubborn so may just tough it out and he has no problem standing up to the guy and has. What company is he with? How long is he supposed to be with his trainer? I’d rather not say the company in case the guy reads this, don’t want to make it worse. He has to do 40,000 miles and they probably have about 15,000 at this point. My hubby is in a bad situation with his trainer. The guy picked him up the first night, handed him the keys and said follow the GPS and literally went to sleep before they were out of the terminal, and it has been that way ever since. He has been out for 2 1/2 weeks now and from the moment it is time for Hubby to drive the guy stays in the sleeper. He has not shown him how to work anything, hubby is winging it and learning on his own. They don’t speak, the guy will yell at him from the sleeper if he does something wrong but never showed him how to do it in the first place. The stories are really bad and too many to list here. He has called Dispatch and informed them of the situation but was told tough it out due to Christmas holiday they are short trainers then left 2 messages for Fleet Manager after Christmas saying he wants out of the truck but he has not returned the calls. He will be stopping at the Headquarters in a few hours for something and I told him it’s the perfect opportunity to get his stuff and get out and wait there till he can talk to someone ( it’s after hours by now) . He doesn’t want to look like he is a quitter so goes back and forth about trying to get a new trainer and getting out of the truck tonight. He just wants to get the hours over with but I am worried that in the end he will not have proper training and this jerk will be giving some sort of recommendation in the end. Hubby is easy going and funny guy and usually gets along great with others. Anyone been in a similar situation or have advice? Can you fight a failed drug test due to CBD Oils? Thank you all for the replies. Hubby is currently filling out applications so he can at least get his training done and a few months under his belt while I do the SAP process and finish school. Hopefully once that is done we can find a company that will take us as a team. If not I will ride with him and try again in about a year. Maybe with time gone by I’ll have a better chance. As for the hair I am guessing it would show up but luckily I have pretty short hair which in a few months should be clean. Again thanks for the advice. I am not going to give up, I got too much invested in this. We had worked together for years with at risk teens and both quit our jobs to do this together since all of our kids are grown. Something I always wanted to do. I need help! I am currently in school to get my CDL. I was told I could not take a prescription for restless legs syndrome so stopped taking it and asked the local Health Food store if there was a natural alternative. They suggested a Hemp Based CBD Oil and assured me there was no THC and that it would not show up on a drug screen. Well it did, Drug Screen came back 28 nanograms THC and the cut off for DOT is 15. I took a home test to double check and passed but come to find out the cut off for that test is 55. Since I already have my permit I had to stop school for now. Called the DOT in Washington and they were no help. They and the lab said I have to do SAP program to get cleared. I requested a retest immediately but am told that since same sample will most likely come back with the same result and to follow procedure I start the SAP Process Monday which is costly. I paid for CDL school out of pocket and want to continue but am hitting brick walls with trucking companies. My husband and I were going to team, he is due to graduate next week while I am stuck dealing with this. My question is to everyone is, is there a way to fight this since CBD oils are sold over the counter and are not supposed to show up on test? DOT told me that Hemp Based CBD Oils are not a legitimate medical excuse. I am sick about this whole thing and can’t seem to get any real answers of how I can fight this.